I have had a few experiences in my life that truly challenged me. For example, during my tenure as a first grade teacher, I had a little boy coming into my class who had an inoperable brain tumor. His name was Adam Gellenbeck. I had to learn how to care for the PICC line he would likely have for his meds. I met with counselors from Children’s Hospital to learn what to expect over the next few months and how to approach the subject with Adam’s classmates. I had to deal with the very real possibility that during that school year, one of my students could die. Challenging for a teacher to hold composure during something like that. But I did. I prayed my way through that entire year. At the end of the school year, I unloaded Adam’s desk and packed up his things. Mostly school supplies well used by the six-year-old. A few scrunched up papers. A few drawings. As I said, I’ve had a few experiences in my life that challenged me to my core. Watching Adam fly off to California was tough. Losing my precious husband, Tom was the hardest. It still brings me to my knees. Daily. This past spring I was accepted to participate in a mission trip with Back2Back Ministries. I would be helping in the construction of a new facility for special needs children. Pretty exciting. Especially when you learn that the architect who designed the orphanage I would be helping to build…the man by whose side I would be working was Adam Gellenbeck. 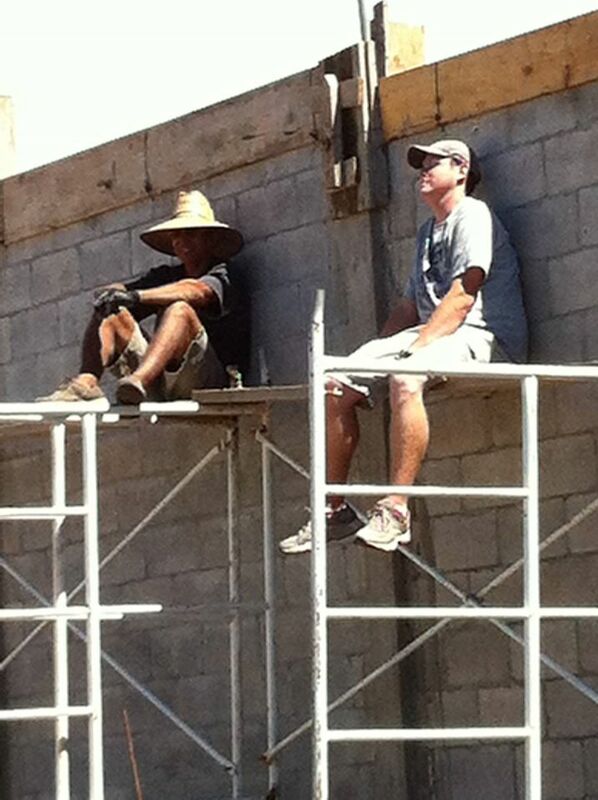 Yes, the same person I taught to read was poised to teach me how to pour concrete. Cool, huh? I thought so. I began the task of raising funds and planning for the trip. Then the first roadblock to this “opportunity of a lifetime” popped up. The Team B leader for the trip had to resign. Without a leader, our team was offered two options: Go with Team A the week before or go with a different team from another church during our appointed week. I debated. Either week would work for me. Did it really matter? Both trips were in July. The second roadblock came by way of a CDC notice to travelers. The Zika Virus. I would have to use insect repellent the entire time in Mexico and for six weeks after returning to the States. A list of possible repellents was listed…none of which I could use. I have asthma and certain chemicals trigger my attacks. I could find an alternative for me to use to avoid mosquitos but I would be housed with a dozen other women using a variety of repellents. That mix was potentially lethal to someone with my pulmonary history. Yet I struggled. Should I stay home or should I go? I talked with family and friends. No one thought I should take the risk. After all, I would not only risk my life but could create some real problems for the team. That should have mattered but it didn’t. I struggled. I really wanted to go. Finally, as a last resort, (Yes, I said a last resort) I prayed. Oh how I hate to admit that. I decided to not go on the trip. I felt cheated. Why? Because my heart wasn’t right. The cool story of meeting up with my former student had become more important to me than serving the orphans in Mexico. In fiction writing it’s what we call the Mirror Moment. It is when your main character takes a deep look—comes face to face with the real person inside. It can get ugly. I’m humbled. I’m broken. I’m saddened that I could take the incredible opportunity to serve others and make it more about me than about them. Or Him. But there is more. My mother says, “God can see around the corners.” It’s true. As it turns out, God didn’t intend for me to go to Mexico anyway. He used my persistence in the matter to help me recognize my own weakness. My own frailty. My own sin. No, He never intended for me to go to Mexico this year. 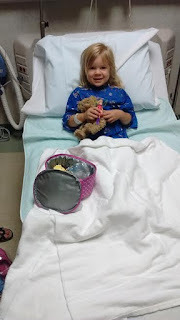 A couple of months after I made the decision to set the trip aside, I learned that my three-year-old granddaughter, Rebekah, had to have surgery. Her left kidney is not fully developed. The right one has issues. The doctor said it was imperative to go in and reconstruct a valve in her bladder to improve kidney function. The initial surgery date was set for July 7th. On July 5th it was rescheduled to July 14th. Are you following me? I wouldn’t have been home. Could Rebekah and her family have fared without me? Of course, but my daughter, Rebekah’s mother, was a little over eight months pregnant with her fourth child at the time of the surgery. Caring for two boys under seven-years-old and a three-year-old in pain would have been difficult for any mom. I was needed. God sees around the corners. He knows me and what is best for me. I am ashamed of what I did in regard to the mission trip. I know God has forgiven me. Perhaps I’ll have the chance to go to Mexico again. Perhaps not. What I do know is this: We must indeed make the most of every opportunity…but for the right reasons. Where is your heart? What mirror moment have you experienced lately? 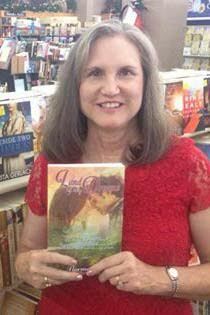 My guest today is author Norma Gail. I've read her book and it is wonderful. Now you can read how it came to be. Enjoy! 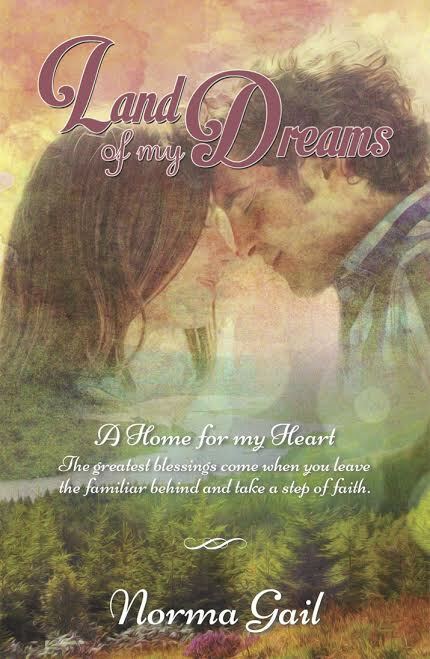 Scotland, two broken hearts, and a mighty God—a recipe for romance. The ingredients for my debut novel, Land of My Dreams, began to reveal themselves while planning our 30th anniversary trip to Scotland in 2006. Six years later, I had a contract with Lighthouse Publishing of the Carolinas, two years after; I held my dream in my hands. The chief ingredient of a romance is love, in generous measure. And I fell hard—for Scotland, its history, the people, the accent, the dreich weather, and yes, the kilts! Though my story is contemporary, I had to include some background of a people with such fierce national pride. I ate haggis, black sausage, bangers and mash, venison stew, and to this very day, I crave sticky toffee pudding and meat pies. I also fell in love my characters, though I sometimes wanted to shake them for being such a dunderheided bunch. Bonny Bryant is a gutsy, wee beauty from America—the spice in the cake. Though she possesses a penchant for hunks who often behave like self-centered children, she is smart, savvy, disillusioned with God and love, and has a tenacious hold on life and the men who love her. Kieran MacDonell, a braw and bonnie man with red-blond hair and blue eyes that can melt a woman with one glance adds the sugar. His long-time friend, Janet, describes him as sweet, vulnerable, and the desire of every woman who knows him. He’s athletic, outdoorsy, and imposing—a kilt-wearing piper, so wounded that God has no place in his life, and completely blindsided by the petite redhead who threatens to destroy the shaky façade of his life. Then, there is Adam Lawson, the baking powder, the ambitious lawyer who refuses to let Bonny go. Think Michael Weatherly on steroids, ego in a business suit, a disarming smile no woman can resist, and willing to use it. Anytime he appears is bound to be inopportune and he could care less. Scotland constitutes the frosting, the sweet covering that attracts with its beauty and appeal, as unique in its culture as New Mexico, the home of both Bonny and me. As Bonny says, they are about as similar as “water and dust”. Yet, each blends ancient and modern culture, including people groups who lost their freedom to invading enemies, but never their identity or customs. The two intermingle to the point that it wouldn’t be out of the question for breakfast to include haggis alongside scrambled eggs smothered in green chili. Though rejected and questioned, the flour, the ingredient that binds everything together and gives it strength, is God, that glorious controller of all things. His love and compassion surrounds each character, even when they are blind to His presence and angry at His seeming neglect. Without God, there would be no love, and without true love, there would be no romance. So there you have it, the ingredients of a romance readers call, “A truly beautiful story of healing and redemption”, “A captivating love story”, and “What Christian fiction should be”. Do you long to escape for the summer? Land of My Dreams, with timeless tragedy and passion, set amongst ancient castles, glittering lochs, and breathtaking green mountains topped by clouds, will carry you to a place where dreams come true, and love reigns supreme. Cheerio the nou! Goodbye for now! I hope to meet you in the pages of my book! If you have any questions for Norma Gail, leave a comment below. I know she loves connecting with readers! Learning the Craft of Writing a Novel: What’s on Your Shelf? For today’s post I decided to share three books I think every writer attempting to draft a novel should read. 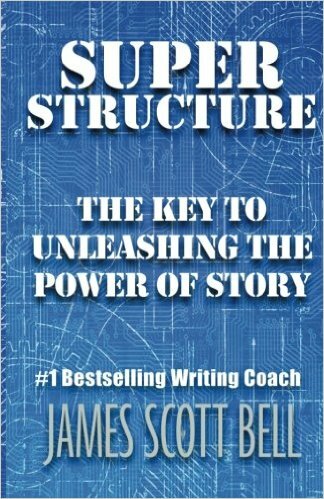 The first, without a doubt, is James Scott Bell’s Super Structure: The Key to Unleashing the Power of Story. (When I was in graduate school we said you could tell if a book or article was worth the read if it had a colon and a subtitle.) You may recall, I mentioned this book in an earlier post when I first heard of it at a writers group. I had ordered the book at that time, but now I’ve read it. Twice. I think I will be reading Bell’s book over and over. Why? Because I get into a project and lose sight of the direction I was taking. I sometimes get bogged down in the middle or lose steam. Super Structure is far more than fourteen (14) signposts to guide you through a good plot. It is a GPS for writing a novel that connects with readers on an emotional level. When to read Bell's book? Although Bell contends you can apply the fourteen signposts at any time in the process of writing, I suggest you read the book before you start your next project, then use it as a reference point from that point on. 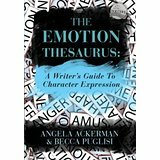 The second book I think all novelists should own is The Emotion Thesaurus: A Writer’s Guide to Character Expression by Angela Ackerman and Becca Puglis. This book is extremely helpful in finding ways a character might express a particular feeling he or she is having through body language and so forth. Though it is possible it does not have the exact emotional response you were going for, it is likely to trigger the action or thought you need. When to use The Emotion Thesaurus? This is one you need to have at the ready, during the drafting process. 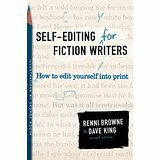 The third book I want on my shelf is Self-Editing for Fiction Writers: How to Edit Yourself Into Print by Rennni Browne and Dave King. The one I have came out in 2004. Oh how I wish I had read it then! Or not. It is not the easiest book to read –almost textbookish. I may not have had the notion I needed it back then. Now that I’ve been down the publication road, I’m more open to what I call deep self-editing. I’m not talking misspelled words or grammar/sentence construction. I’m talking about developmental editing. I didn’t know the book existed until 2016. Fortunately, my editor, Bethany Kaczmarek walked me through much of what you find in these pages: show don’t tell, POV (point of view), and elements of writing great dialogue. There’s more, of course. And although some of the examples are not exactly stellar, stay with the book. The exercises are excellent and there is much to be gained within these pages. The information is limited as our understanding of story and our audience grows and changes. For example, while discussing POV, the authors neglect what we now view a “close third person.” You can read more about that by clicking on this LINK. Still, the self-editing book is a good start with a broad spectrum of topics. How I use it? Each chapter has a checklist at the end. I read the checklist and try to see how my manuscript measures up. If I find I’ve missed the mark, I read the chapter again. As Browne and King note, you can hire an editor –but before you do that, make your writing as strong as you can first on your own. When to apply the Self-Editing text? Although you'll want to familiarize yourself with the basic principles in the book (saving you time later), this is a book you will pull out about three weeks after your completed first draft has been in a drawer for at least three weeks. You need that time to separate yourself from the story before you take a deeper look at your manuscript. Bell also has a book on self-editing I want to read. It is called Revision and Self-Editing. Why another book? Because learning your craft is never a "one and done" experience. If you are serious about writing to get published then part of what you do is invest in education yourself. These books will be a great start to your fiction writing career. You have ideas. You have a story to share. I am convinced your writing will be made better with these three books. I know mine will. So…what’s on your shelf? Share what you think and other tools you find helpful in the comments below.